Grilled Sour Pork and Lao String Bean Salad (yardlong bean salad) for dinner in Vientiane, Laos. An Aunt from Pakse came by for a visit and brought a couple of kilos worth of Sour Pork as gift to the relatives in Vientiane. 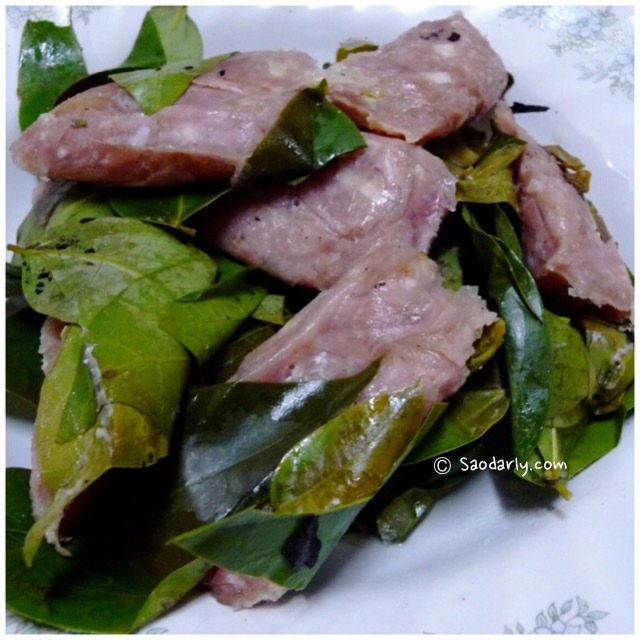 The Som Moo was made by another relative, who makes a living by making Sour Pork at her house in Pakse, Laos. 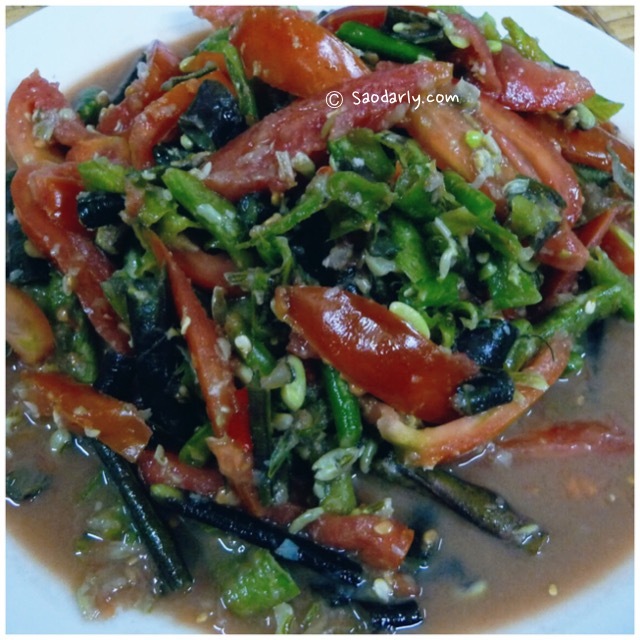 Another aunt made Lao String Bean Salad (Tam Mak Thua; ຕຳໝາກຖົ່ວຍາວ) to go with the grilled sour pork (Ping Som Moo; ປິ້ງສົ້ມໝູ). 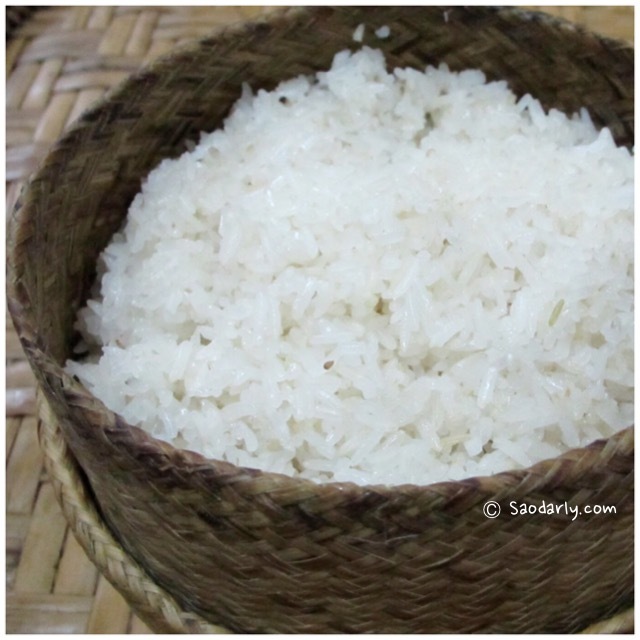 This is a typical Lao dinner served with plenty of freshly steamed sticky rice for everyone in the family to enjoy.